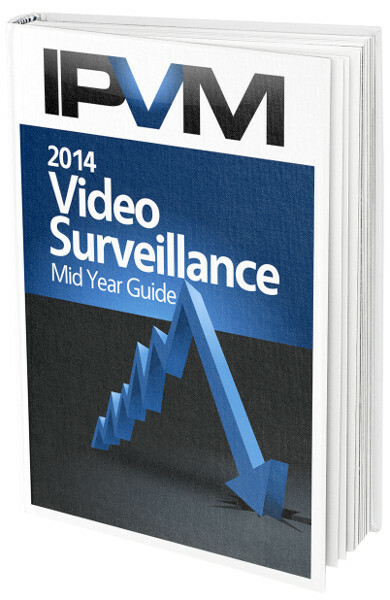 In IPVM's 2014 Mid Year Guide, a 150+ page PDF available inside, we break down the key challenges, issues and opportunities. Why Was Dropcam at ISC West 2014? Avigilon to Raise $100 Million, Who Will They Acquire? Another Avigilon Exec Out, Impact On Expansion? Non-Members: Become a Group PRO Member and get the 2014 Mid Year Guide plus 1 year membership. Personal PRO Members: Login and upgrade your membership level to Group to get the Guide. Group PRO Members: Login and click the 'request to send' link to get a personalized copy emailed to you. ******* **** - *** theme ** *** **** video ************ ********. **** is *** ******** ******* for *** ******** *******, since ** ***** *** 2008-2009 *********. ** ****'* **** *** Year *****, * ***+ page *** ********* ******, we break **** *** *** challenges, ****** *** *************. *** *** ******* ** ISC **** ****? ******** ** ***** $*** Million, *** **** **** Acquire? ******* ******** **** ***, Impact ** *********? ***-*******: ****** * ***** *** ****** *** *** *** **** Mid **** ***** **** 1 **** **********. Personal *** *******: Login and upgrade your membership level to Group to get the Guide. Group *** *******: Login and click the 'request to send' link to get a personalized copy emailed to you. ***** ** *** **** below ** ******* * PDF **** ** ******* to * ***** **** so *** *** *** a **** ** *** *****. *** ******* ** *** guide *** ***** **** existing ******* ** ******* ******* ********* ** *** members. *** *** ***** provides * ********** *** to **** **** ** an ********* ******* ** print **** *** ***-**** review.